If you are a fan of handmade and painted Hook Earrings then you will love this Blue & Green pair. 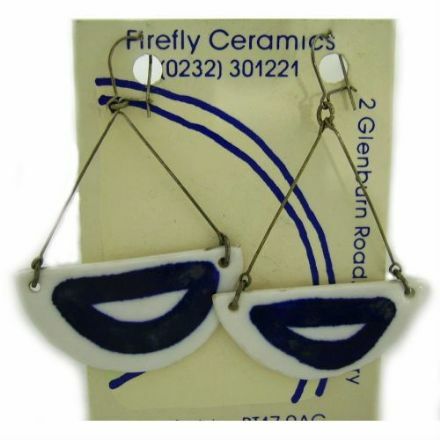 From the lovely jewellery range by Firefly Ceramics. 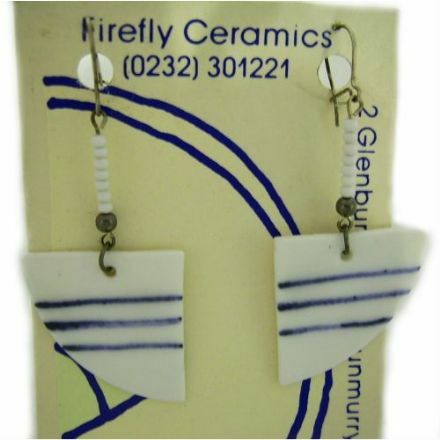 Look fabulous in these handmade and painted Blue & White Hook Earrings from the lovely jewellery collection by Firefly Ceramics. 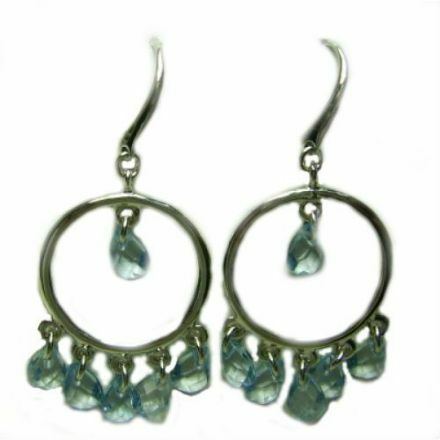 These Blue Opal Button Style Earrings in Sterling Silver look beautiful and would make a lovely gift for that special occasion. 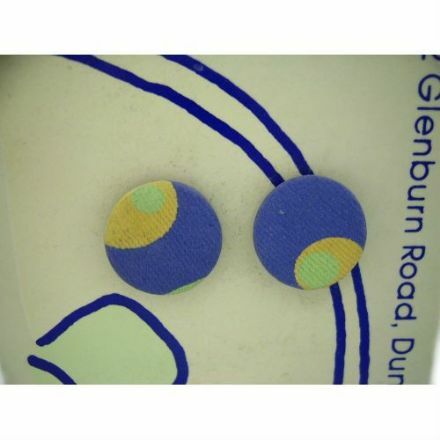 Well made and hand painted are these Blue Stud Earrings by Firefly Ceramics. Could be worn everyday or for that special occasion. 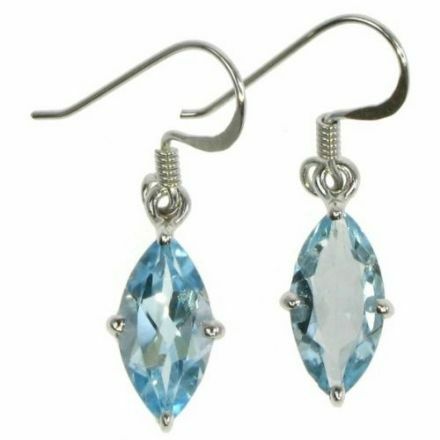 Stunning Blue Topaz Marquise Hook Earrings in Sterling Silver. Comes complete with a lovely gift box. 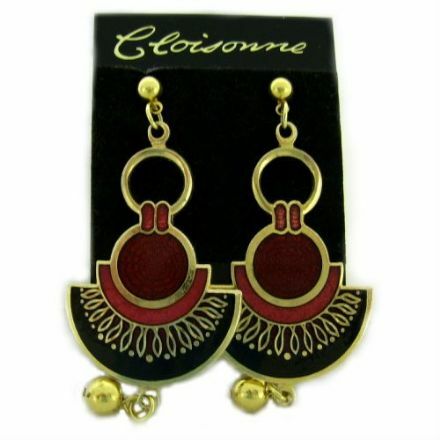 An exquisite pair of Cloisonne Hook Earrings which are beautifully made from the finest materials by Sea Gems. 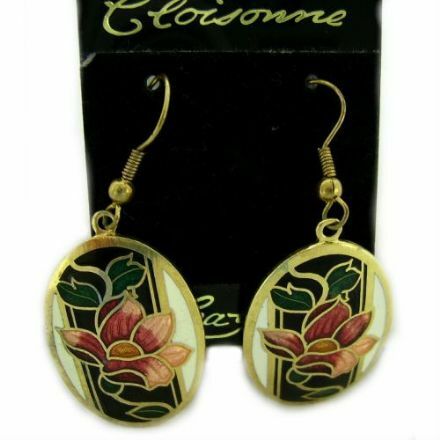 Perfect for every day wear or that special occasion, are these Cloisonne Hook Earrings by Sea Gems. 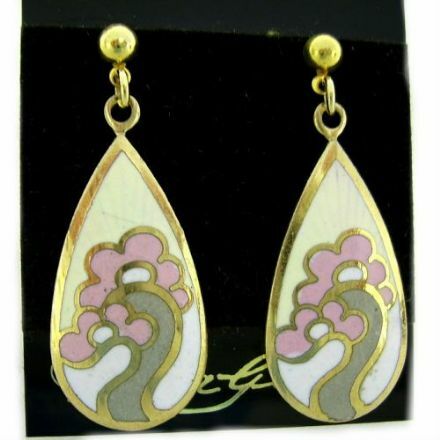 From the popular and very well made Sea Gems Jewellery range, these Cloisonne Hook Earrings look absolutely stunning. 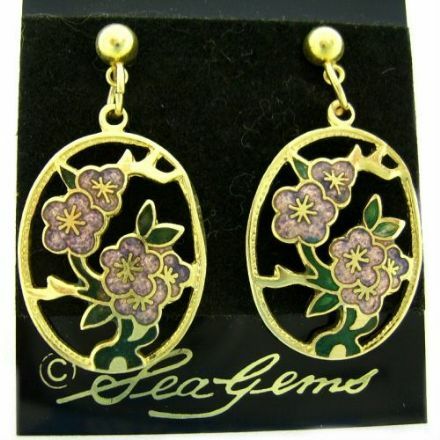 These pretty Cloisonne Hook Earrings by Sea Gems would be lovely for that special outing or even for everyday wear. 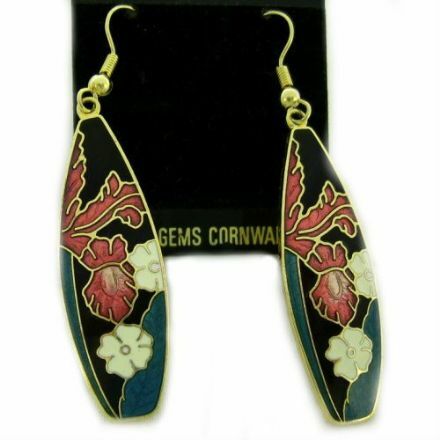 Stand out from the crowd with these Cloisonne Hook Earrings by Sea Gems. A perfect gift for someone who likes unusual jewellery. 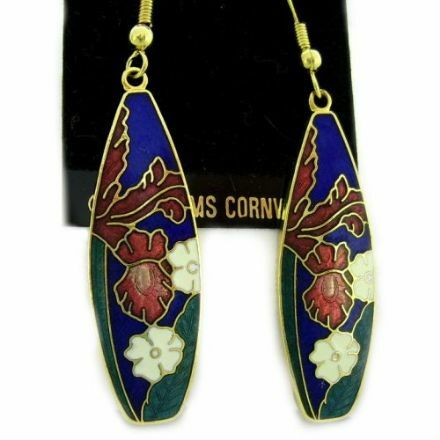 Not your average piece of jewellery, these Cloisonne Hook Earrings by Sea Gems are an ideal gift for someone who likes their earrings. 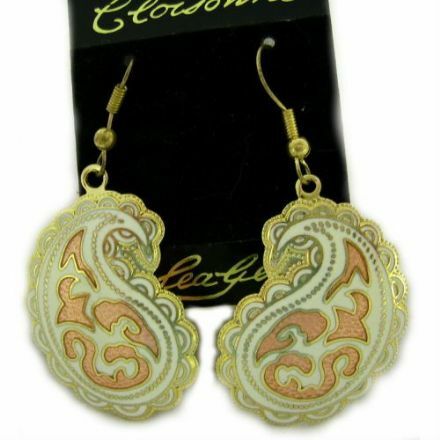 Not your run of the mill earrings, these Cloisonne Hook Earrings are beautifully made by Sea Gems. 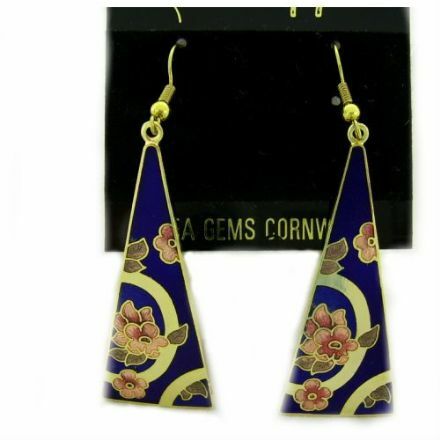 Stand out with these beautifully made Cloisonne Stud Earrings by Sea Gems. Could be worn everyday or for that special occasion. 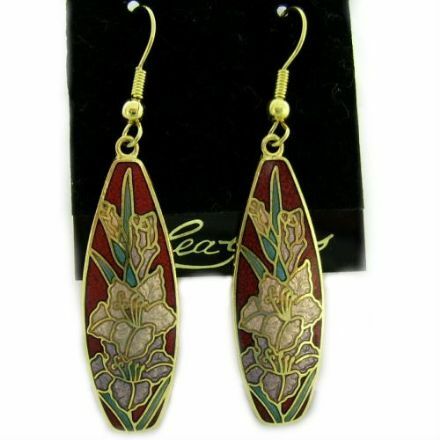 A lovely design, and made from the finest materials, these Cloisonne Stud Earrings by Sea Gems would make a lovely gift. 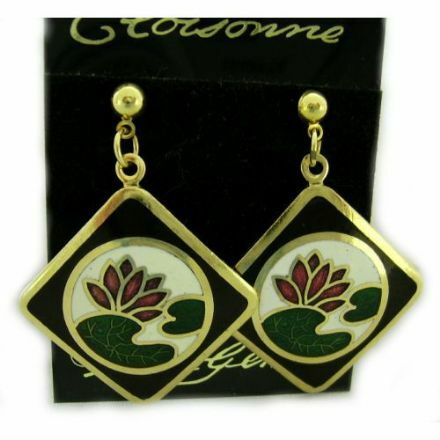 Ideal for everyday wear, these Cloisonne Stud Earrings by Sea Gems are well designed and made. 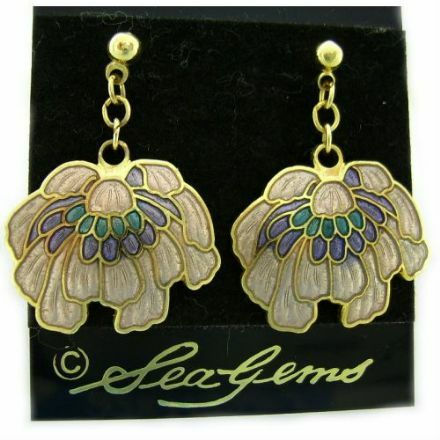 These pretty Cloisonne Stud Earrings by Sea Gems would make a lovely gift for someone who likes unusual jewellery. Not your run of the mill jewellery, these Cloisonne Stud Earrings are delightful and made by Sea Gems. 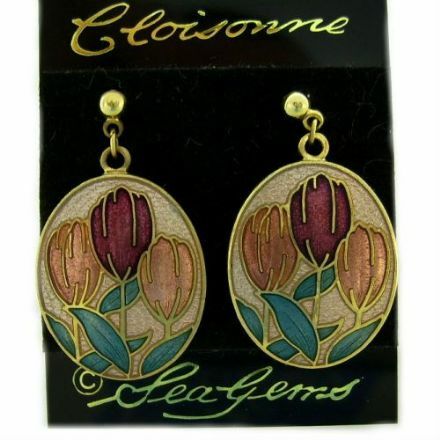 Unusual Cloisonne Stud Earrings from the popular jewellery range by Sea Gems. Perfect for your special night out. 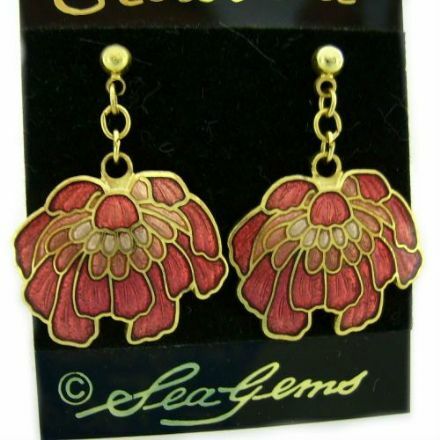 Lovingly made are these Cloisonne Stud Earrings by the well known jewellery company Sea Gems. Would make a perfect Birthday Gift. Absolutely delightful are these Dark Blue Hook Earrings. They have been handmade and painted by Firefly Ceramics. 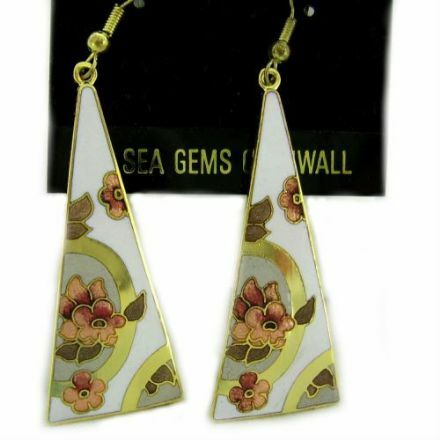 What a lovely design of Hook Earrings from the popular jewellery range by Sea Gems. 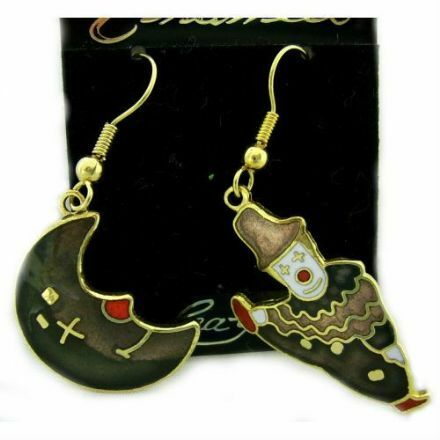 A lovely gift for someone who likes unique earrings. 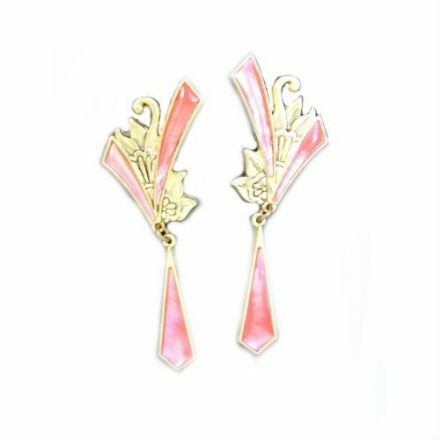 Of a modern design these Hook Earrings by Sea Gems are perfect for everyday wear or for that special occasion. 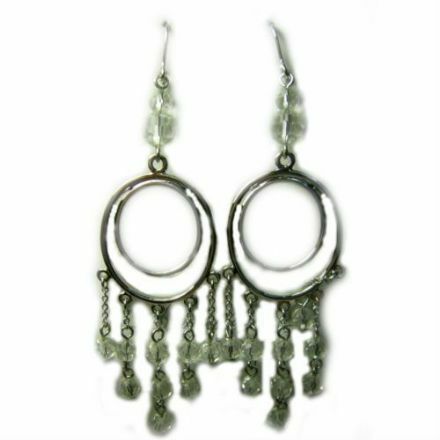 Dew Drops Rhodium Plated Hook Earrings. Made by Annaleece from the finest materials. 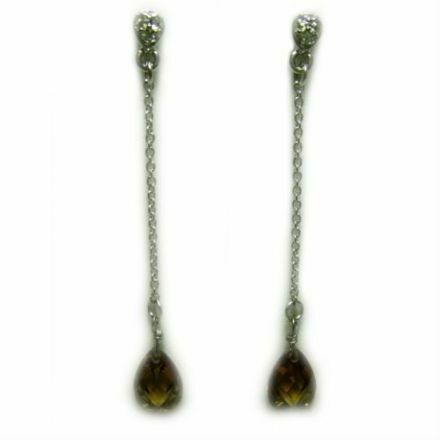 These beautiful Down to Earth, Rhodium Plated Drop Earrings with Swarovski crystals are perfect for wearing to that special occasion. 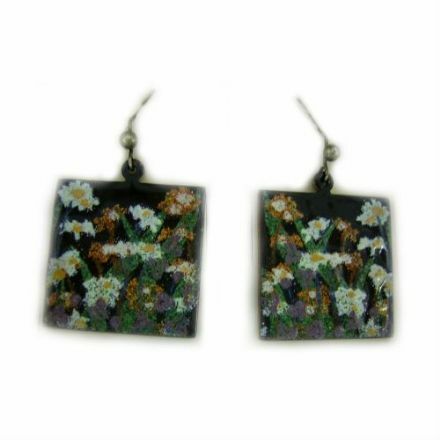 Just stunning are these lovely looking enamelled earrings. Ideal for that special outing or celebration. 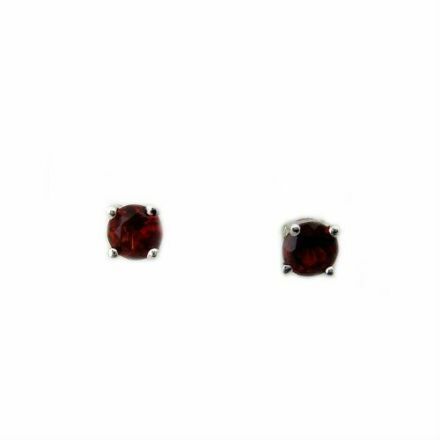 These Garnet Stud earrings are made from the finest materials and would make a lovely compliment to other pieces of jewellery. 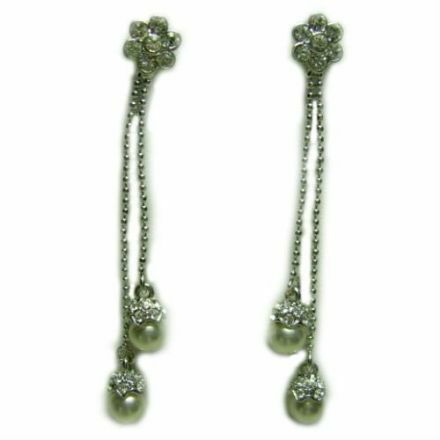 Made from the finest materials, Gentle Rhodium Plated Drop Earrings look so lovely and perfect for that special occasion. 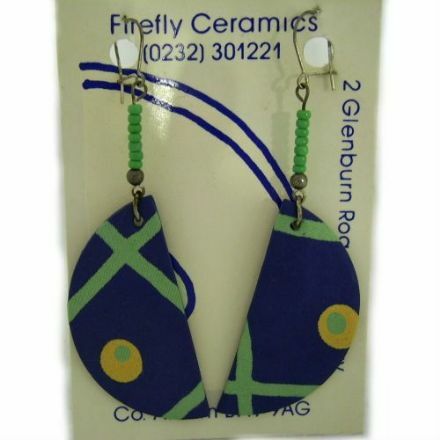 These pretty hand made and painted Green & Blue Hook Earrings are perfect for that special occasion or for everyday use. 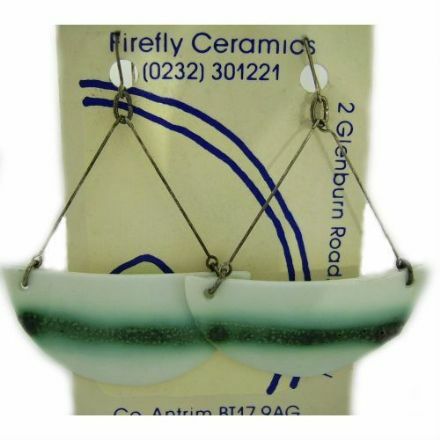 From the Firefly Ceramics range. 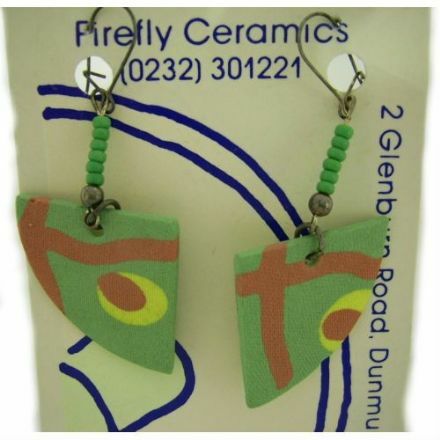 An unusual hand made and painted Green & Brown Hook Earrings from the lovely jewellery range by Firefly Ceramics. 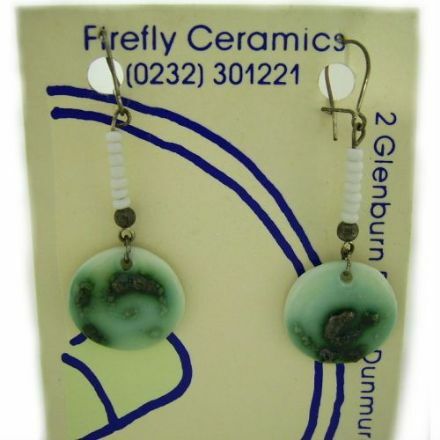 A lovely design, are these Green & White Hook Earrings which have been handmade and painted by Firefly Ceramics. 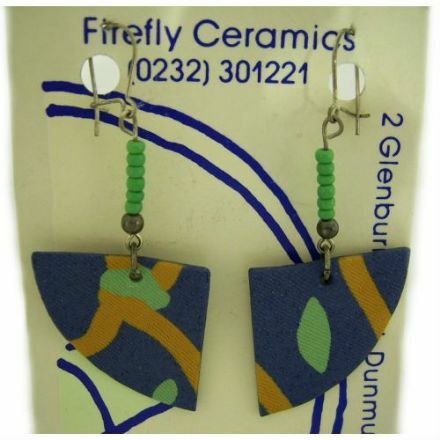 For an unusual pair of earrings, look no further than these handmade and painted Green Hook earrings from Firefly Ceramics. 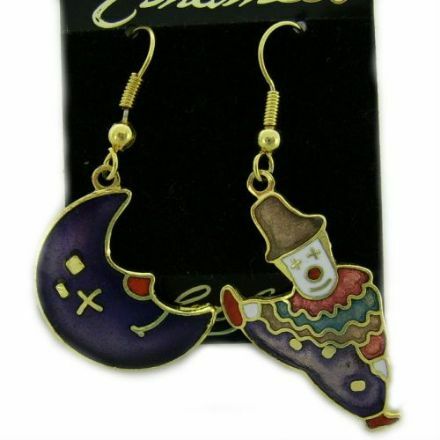 An ideal present for someone who likes their earrings to be individual. 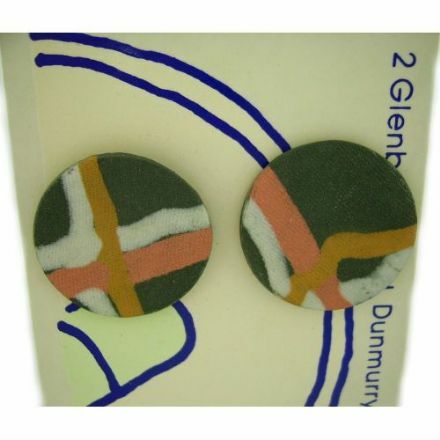 These handmade Green Stud Earrings by Firefly Ceramics a perfect. 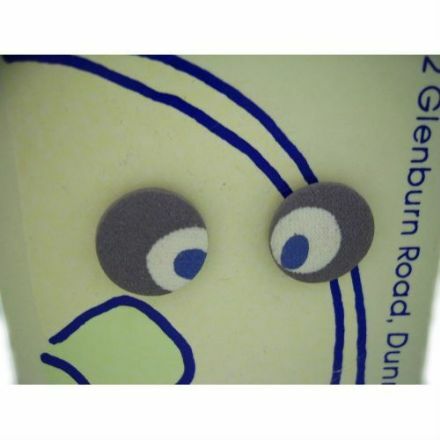 Beautifully hand made and painted, these Grey Stud Earrings from Firefly Ceramics are ideal for everyday wear. 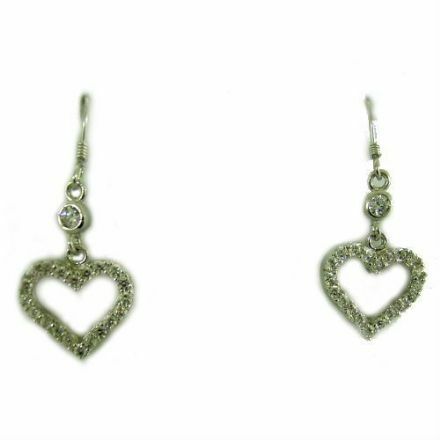 Very smart looking Heart Cubic Zirconia Hook Earrings in Sterling Silver. Comes complete with a lovely Box. Impressive, is the only way to describe these handmade and painted Hook Earrings by J & J Cordingley. A perfect unusual gift for a birthday. 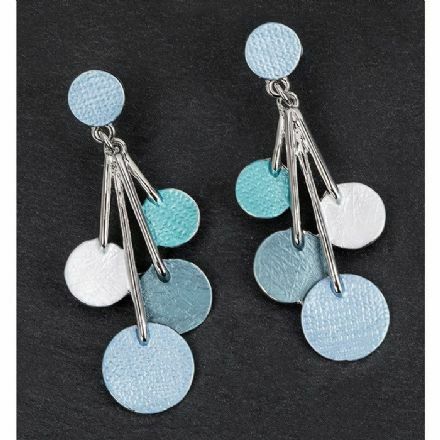 These beautiful Marine Tones Circles Earrings are perfect for wearing to that special occasion. 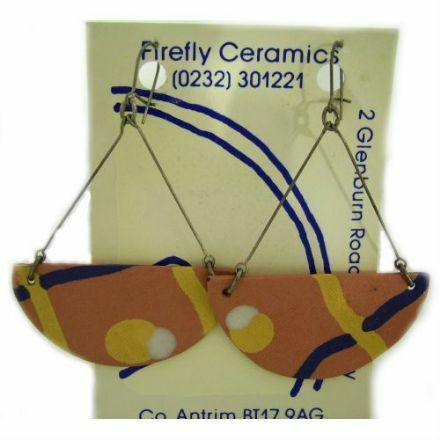 Hand made and painted Orange Hook Earrings by Firefly Ceramics. A great gift for someone who likes unusual jewellery. 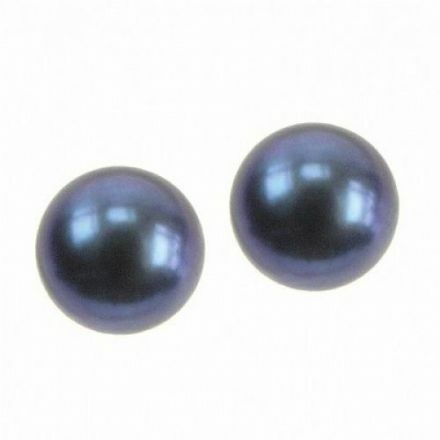 Vibrant looking pair of Pearl Dark Stud Earrings beautifully packaged and would make a lovely present for someone special. 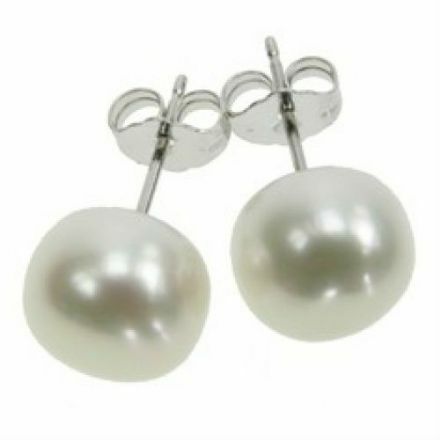 Pearl Earrings set in Sterling Silver Mounts look delightful and would look lovely with other pieces of Pearl Jewellery. 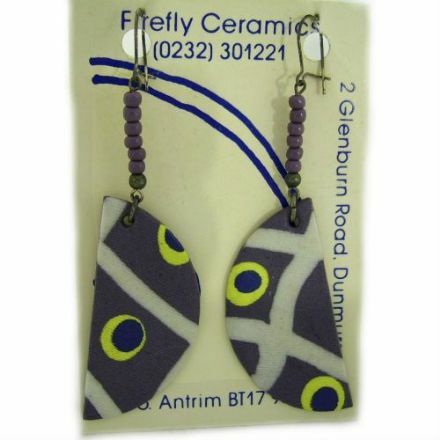 Ideal to wear everyday, these lovely handmade and painted Purple Hook Earrings by Firefly Ceramics would make a perfect gift. 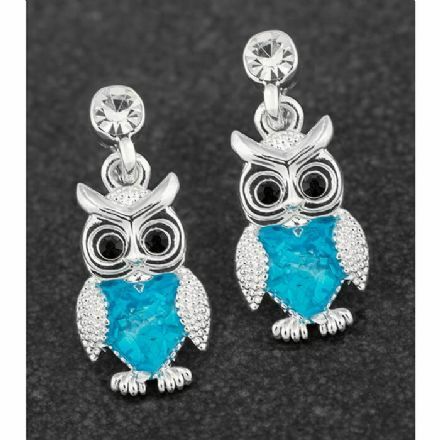 Sea Breeze Owl Silver Plated Earrings. Complete with a quality gift box. An outstanding pair of Rhodium Plated Hook Earrings called Sheer Indulgence. Perfect for that special occasion. 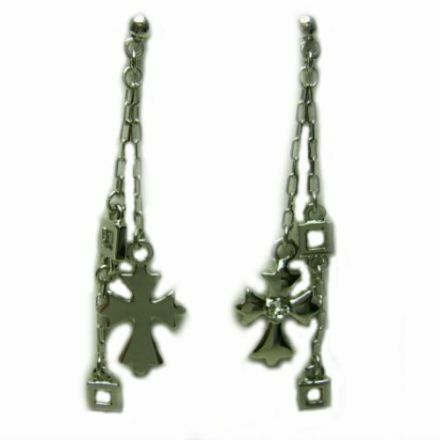 Adorable are these Rhodium Plated Earrings which are called Virtue. They are made from the finest materials by Annaleece. 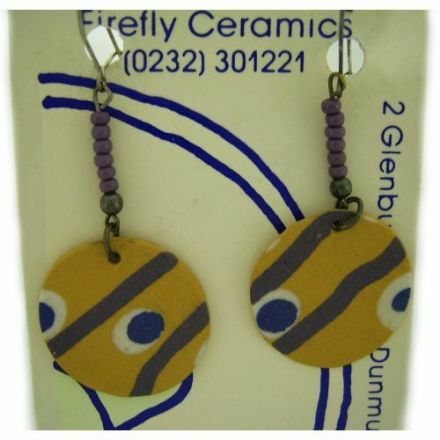 Stand out from the crowd with these handmade and painted Yellow & Purple Hook Earrings by Firefly Ceramics.